Close to half (44%) of Chinese multinationals in Hong Kong struggle with employee retention, says Michael Page Hong Kong, a specialist recruitment firm. The leadership teams’ efforts are felt but maybe not enough for Hong Kong candidates to stay. Despite 2 in 3 Chinese companies stating their willingness to offer salaries 11–20% above market rate in order to hire experienced talent, the feedback from Hong Kong professionals who have worked in a Chinese firm expressed culture fit (72%) as the largest factor for leaving. This is followed by mismatched salary expectations (67%) and being offered a better position or employment terms somewhere else (56%). “The second challenge for some Chinese players is their lack of global presence as this deters potential employees who are keen on gaining regional or international work exposure from joining the organisation,” Olga Yung continues. Chinese-headquartered conglomerates and financial services firms have been aggressively growing their footprint, using Hong Kong-based businesses as springboards for international opportunities. 88% of respondents agree that Hong Kong is an attractive destination for business expansion due to the city’s financial stability, mature infrastructure, and wealth of professionals qualified for international markets. Therefore, opportunities for Hong Kong professionals will continue in Chinese multinationals. There is still optimism around changing mindsets from both Hong Kong professionals and Chinese multinationals. Among those surveyed, 82% felt that the leadership team made efforts to adopt an international working style in order to better align themselves with global standards. 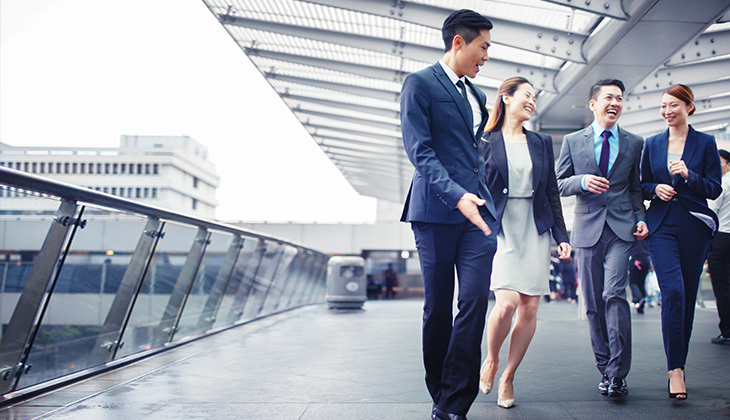 Hong Kong professionals have become more receptive over the years, and are found to appreciate opportunities that Chinese companies offer in terms of new projects (20%); salaries (18%) and opening doors to new industries (14%). In order to attract top Hong Kong professionals, candidates in this market expressed that their top considerations when moving to a Chinese firm are the alignment of management style and direction (24%), culture fit (17%) as well as working expectations (13%).